The Collector's Edtion Or Not? Welcome To Endless Sims 2 & 3 Forum! We Hope You Will Like Yor Stay! Do Not Forget To Sign Up! It Is Free! Please Come Back Again Soon! Endless Sims 2 & 3 > Forum > Forum > Endless Sims 2 & 3 News & Info Section > Endless Sims 2 & 3 News & Info > Whats New! (Moderator: Angelsims3) > The Collector's Edtion Or Not? I just bought a brand new computer and meets the requierments to run the Sims 3 yahoo! I am excited more today! Dell Studio Hybrid Smoke Included Wired Less Keyboard and Mouse! But I have a better one with 260GB HD. Wow I really got a better deal. Now to buy a 20" wide screen monitor TV HDTV but have to waite and save money for I had to buy the Sims 3 too. Well that is enough of that but this computer is perfect for The Sims 3! At Bestbuy was on sell for 399.00 what a steal, Hurry before they stop that sale. I as I see I will be also geting the prima guide book! That is nice for I buy those anyways so I might as well pay the 69.99. You may talk about that here! What do you think of that! So many new photos have come out every where here is a few I found for the retail boxed and a magazine! 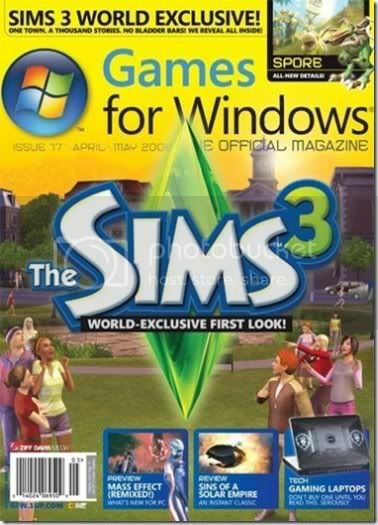 Now here is something else with The Sims 3 Folks That Was in London where the Sim guys the EA staff. Read what they are saying the Sims not have to use tolet as offten that is a plus for me! Jump to: Please select a destination: ----------------------------- Endless Sims 2 & 3 News & Info Section ----------------------------- => Endless Sims 2 & 3 News & Info ===> Whats New! ===> Help & Information For Forums And Boards ----------------------------- Endless Sims 2 & 3 Rules Category ----------------------------- => The Rules & Laws Of Endless Sims 2 & 3 Forums ===> The Rules & Laws Of Endless Sims 2 & 3 Of The Forums ----------------------------- Free Sims 2 Downloads For Guests Only! ----------------------------- => Free Gift's Of Sims's ===> Female Sims 2 Bodyshop ===> Male Sims 2 Bodyshop ----------------------------- The Sims 3 Downloads ----------------------------- => The Sims 3 Bodyshop Parts!